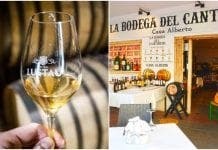 WINE producers from Granada have joined forces in an attempt to obtain the Denominacion de Origen (DO) status. 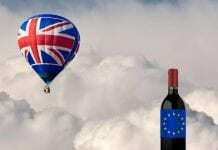 Currently, wines from the province are classed as ‘vino de la tierra’ (country wines), but it is hoped backing from Brussels will force the Government to issue the coveted label, which guarantees a product’s quality. “We are hoping to receive a special mention of quality from the Ministry of Agriculture at the European Union. This will then give the province the support it needs to obtain the DO category from the government,” regional government spokesman Rafael Gómez said at a public presentation of Granada’s wines. Representatives from the province’s 82 bodegas were in Granada to launch their bid for the label that, similar to the French appellation system of grading, also highlights the specific characteristics of a geographical region. 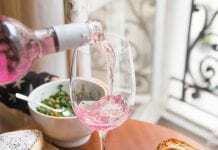 And, perhaps more importantly, it will give the province more clout in the market as DO wines – a category enjoyed by Rioja and Ribera del Duero – account for the majority of Spanish wine sales at home and abroad. But what is it that defines a Granada wine? “The altitude at which its vines are found is perhaps the main point,” Gómez added. Around 50 per cent of its bodegas are situated at 1,000 metres above sea level – or higher. Then you can factor in the cold night-time temperatures, which slow down a grapes maturation process. This, according to the province’s oenologists, gives its wine a better acid-sugar balance. The province has three wine producing regions, which are the South West, the North and the Contraviesa-Alpujarra, a region home to the most-celebrated wines of the province. As reported in the last issue of the Olive Press (Granada tops table for wine), two wines from the region ended 2007 in style by walking away with top honours in two recognised competitions. Ugíjar bodega Dominio Buenavista scooped Gold Medal at the International Wine Contest of Andalucía for both its 2006 Veleta Tempranillo and 2006 Veleta Cabernet Sauvignon. Cuatro Vientos garnered the prestigious Mezquita de Plata award for its 2005 tierra añada and 2006 Marques de la Contraviesa wines at the XIII Wine Competition of Córdoba. “Granada wines have long been recognised for their quality in international competition,” Gómez said. Is it now time for the Government to do so?